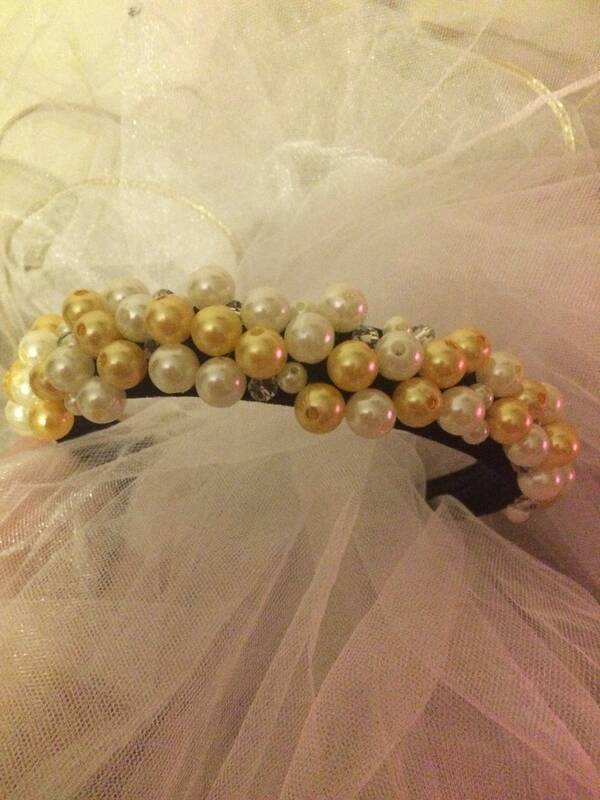 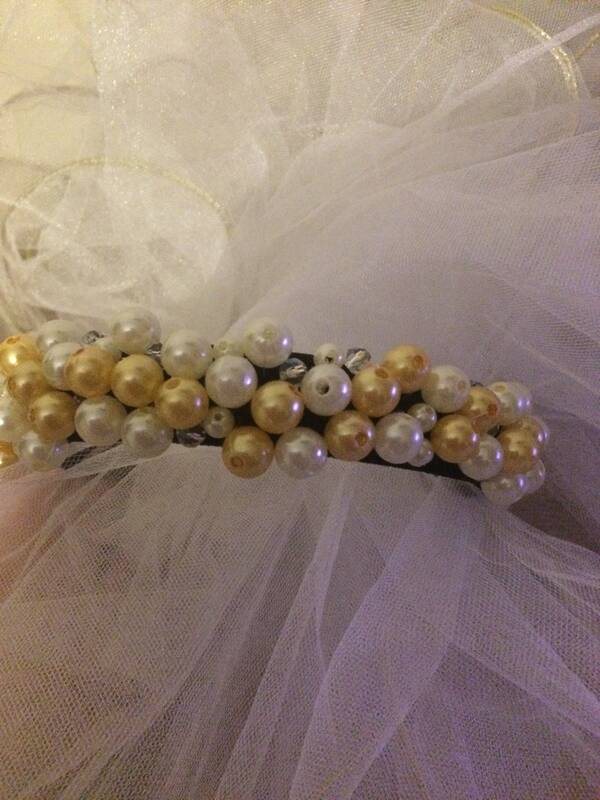 Beaded velvet headband with white and gold beads. 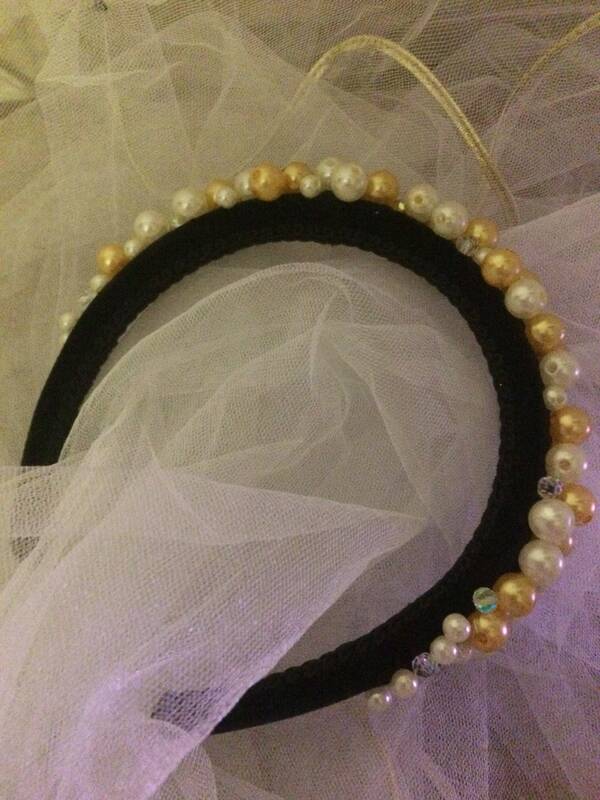 Beads are hand stitched to black velvet wide Alice headband. 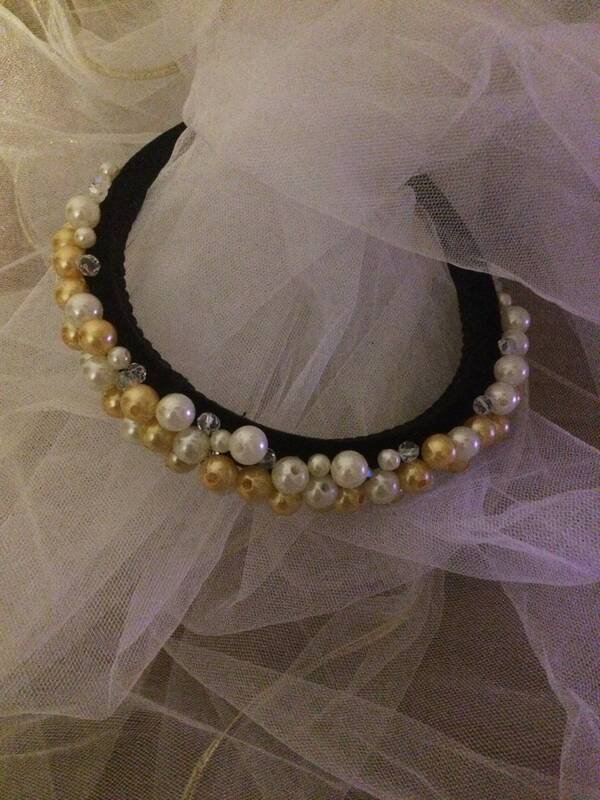 Here have been used acrylic beads in white and golden colour and mixed sizes. 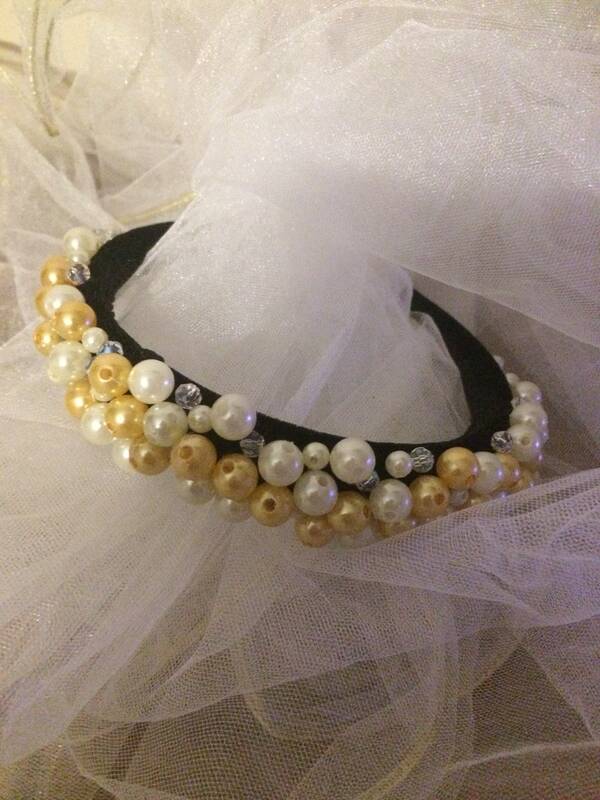 It can be wear it with a cocktail dress as well as everyday clothes.